Hello Friends! 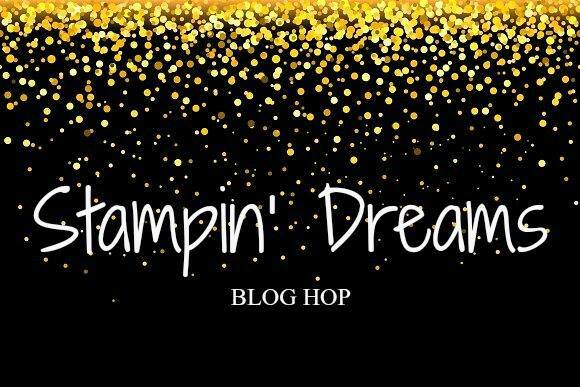 !, here I am participating again on the Stampin' Dreams Blog Hop organized by Jessie Holton.. I love that she organizes these hops internationally so you get to see blogs from around the globe, which I think is great as you get to see other designers that you might not normally know about.. don't you think?? 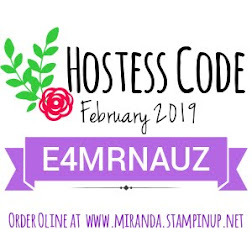 I decided to use the lots of lavender stamp set, as I thought this would make a perfect card for the occasion, but also because this is the last month of Sale-A-Bration!!! and I am sad to see this stamp set retiring after this month.. This stamp set makes your card making so easy, you just cannot believe it... it comes as photopolymer and it is a two-step stamp, so the positioning is super easy as you can see thru the stamp.. also it gives you the option to do multiple techniques for coloring, you can do the two-step stamping as I did for this card, but you can also decide to water color the flowers or use the stampin' blends and color with this fabulous markers, as I did for the leaves..
You can see more details on the close up picture.. As I mentioned I colored the flowers with the two-step stamping technique, and the leaves were colored with the stampin' blends, the bow was colored with the in-color markers, I used the berry burst marker, and of course I added wink of stella!! you know that was coming!! lol, I love the shimmery look that wink of stella adds to the projects!! You can see the video tutorial for this card, so you can see how easy and simple this was, I am truly enjoying making quick and easy cards.. :) hope you enjoy the video as well. Below is the list of items I used on my card, so if you want to get any of these items click on the images below which will take you to my online store where you can purchase Stampin' Up! products. 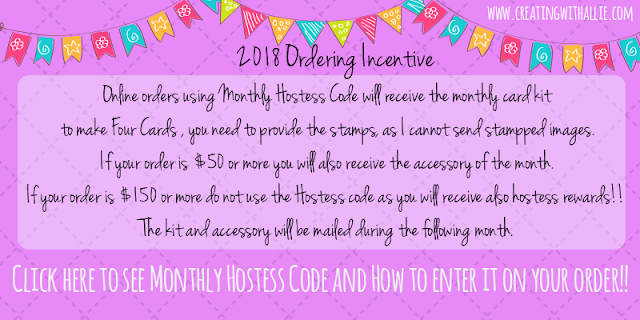 Also don't forget about my monthly ordering incentive!! And this is the last month of Sale-A-Bration!!! and who doesn't like FREE products!!! also see below as there are NEW products being released today!!! 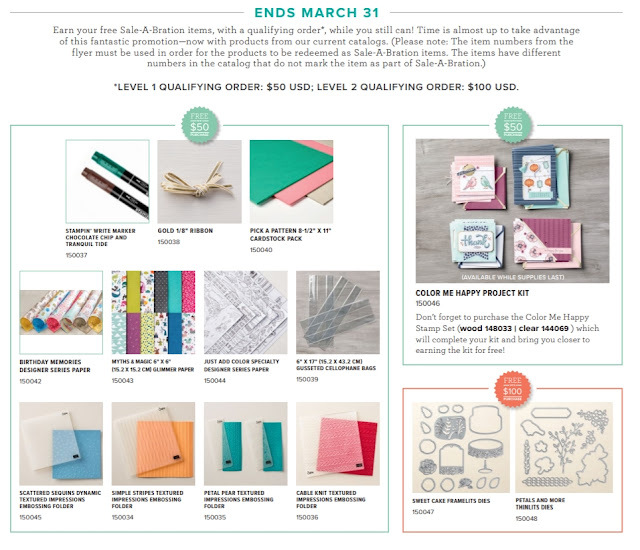 so you get more options for FREE when you order this month!!! there are no limits!! every $50 or $100 will get you FREE products!! Thank you for organizing and visiting my blog!! I love participating with such a great group of talented demonstrators.. you all do fantastic work! Lovely card Allie, sweet and elegant! 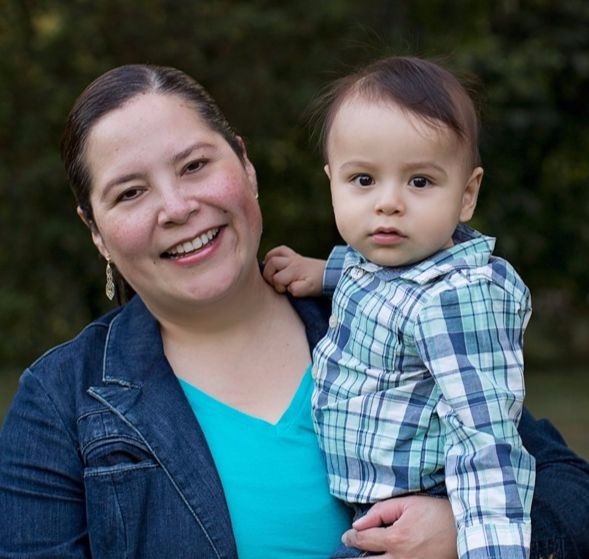 Thank you so much for visiting my blog Sandra!! glad you liked the card!! Really lovely card Allie. Simple and sweet! Such a pretty card Allie. Your color choice is good for so many occasions! Thanks!! you are so sweet!! glad you liked it. Lovely card. We'll miss that set after Sale-a-Bration. Thanks Kim!! you are so sweet! thanks for stopping by!